Training includes: Guildford School of Acting (MA in Musical Theatre) and Newcastle University (BA in Music). Stage credits include: Bend It Like Beckham (Phoenix Theatre, West End); Anita and Me (Birmingham Rep); Trident Moon (Finborough Theatre); My Fair Lady 60th Anniversary Concert (Alex Parker Productions); Destiny’s Child Re:Imagine and Fugees: The Complete Re-Score (Rogue Symphony); WhatsOnStage Awards (Prince of Wales); Bernstein’s Mass (Southbank Centre); Company (Phoenix Arts) and as a backing vocalist for Kimberly Walsh. Television credits include: Britain’s Got Talent as backing vocalist (ITV); Michael McIntyre’s Very Christmassy Christmas Show (ITV); Let’s Do Lunch with Gino & Mel (ITV) and Search for a Musical Theatre Performer (BBC Wales). Radio credits include: Friday Night is Music Night (Dynamic Vocals, BBC Radio 2). 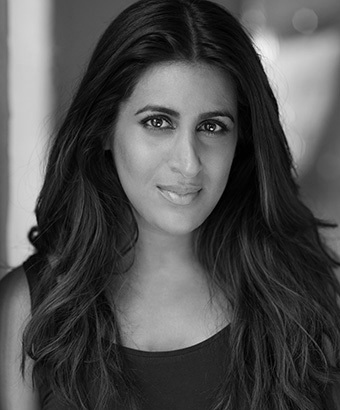 Recordings include: featured vocalist in Amazon Christmas advert 2018, lead vocalist for Superdrug Feel Super campaign and Bend It Like Beckham (original cast album).